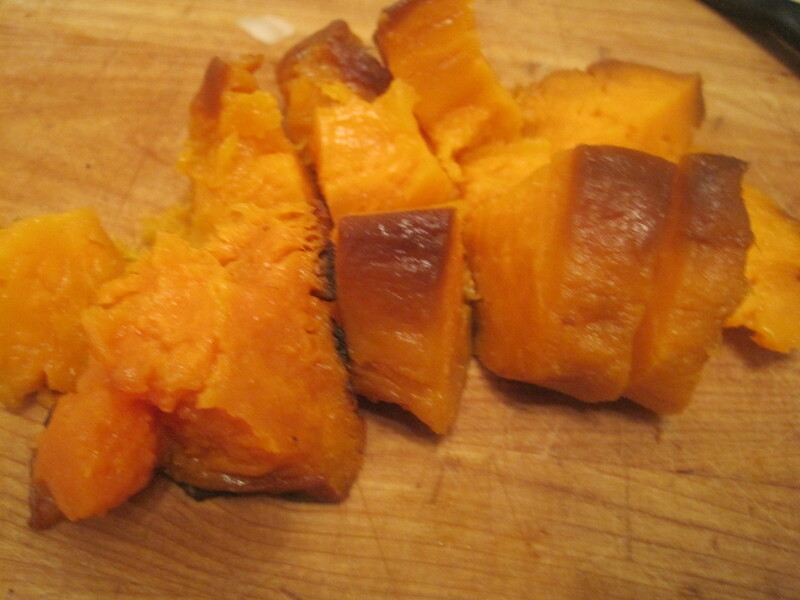 My sweet and savory tooth have both been satisfied. 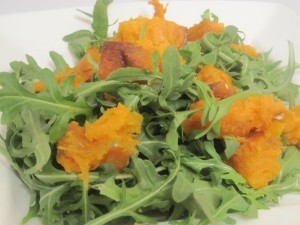 Light and simple, but oh so flavorful and filling! 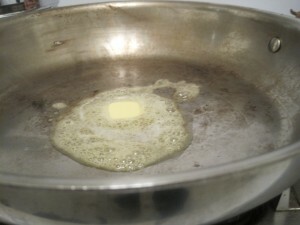 Begin by adding the butter and oil to a hot pan. Old school RULE: never add oil to a cold pan–the pan must be warm. 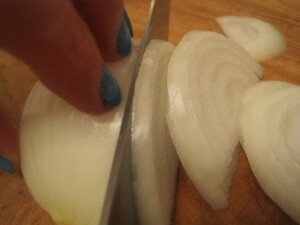 This prevents sticking later. 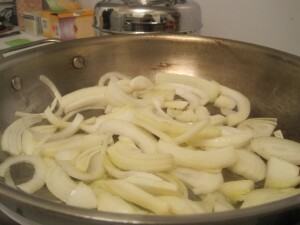 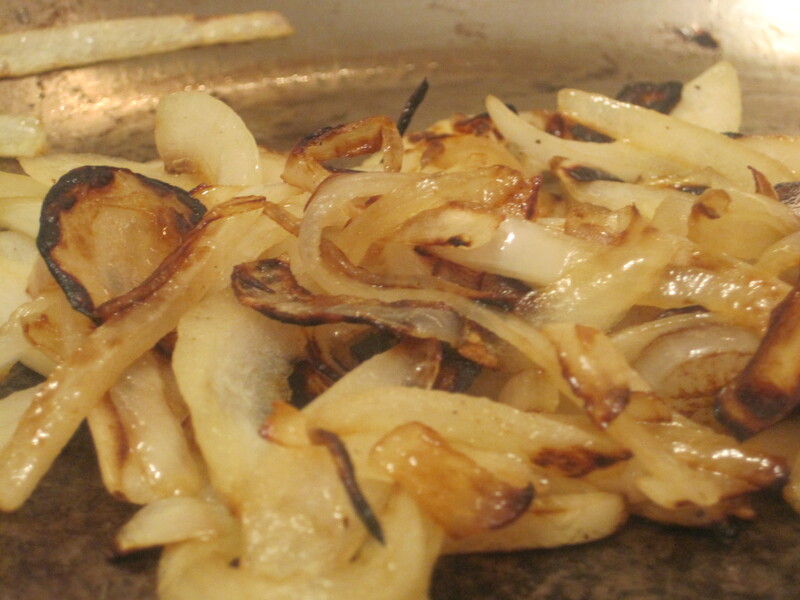 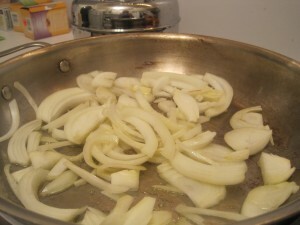 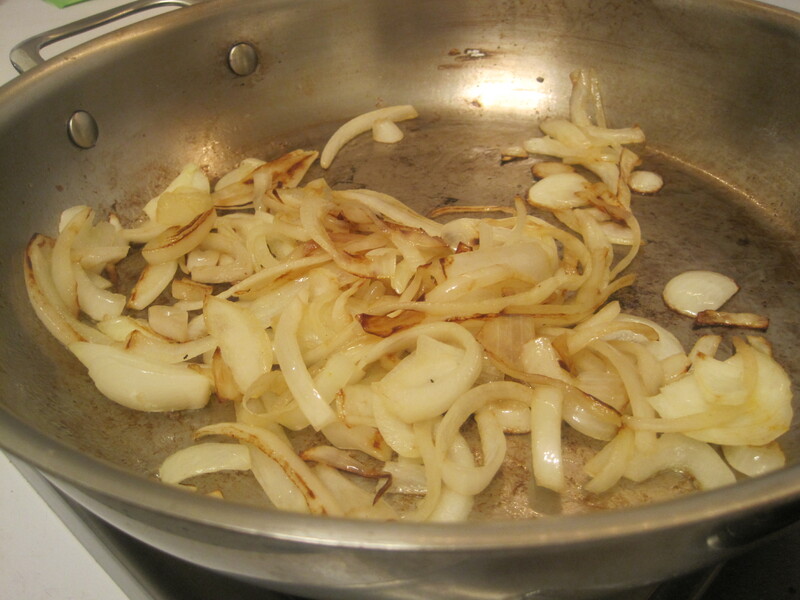 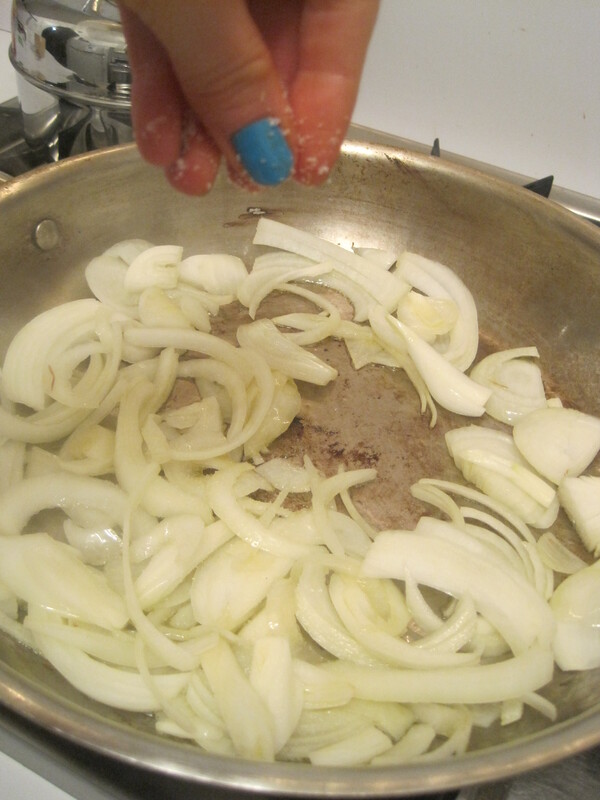 Sprinkle with salt and pepper to help the onions sweat. 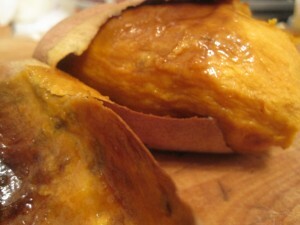 …to perfection, peel the skin off your sweet potato and slice it into bit sized, mushy chunks. 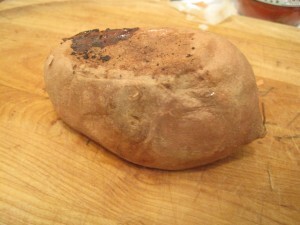 You could also cut the sweet potato into small squares and then cook the them on the stovetop, but I like the simplicity of throwing a potato in the oven (maybe 2 or 3 at a time to stock me up for a few days) and having it be cooked and ready without the fuss. I also prefer the mushy consistency. 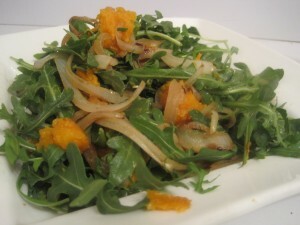 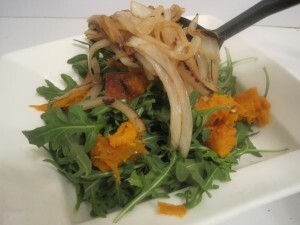 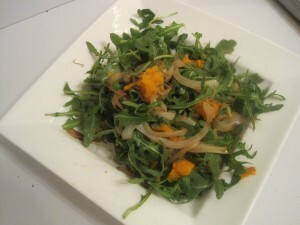 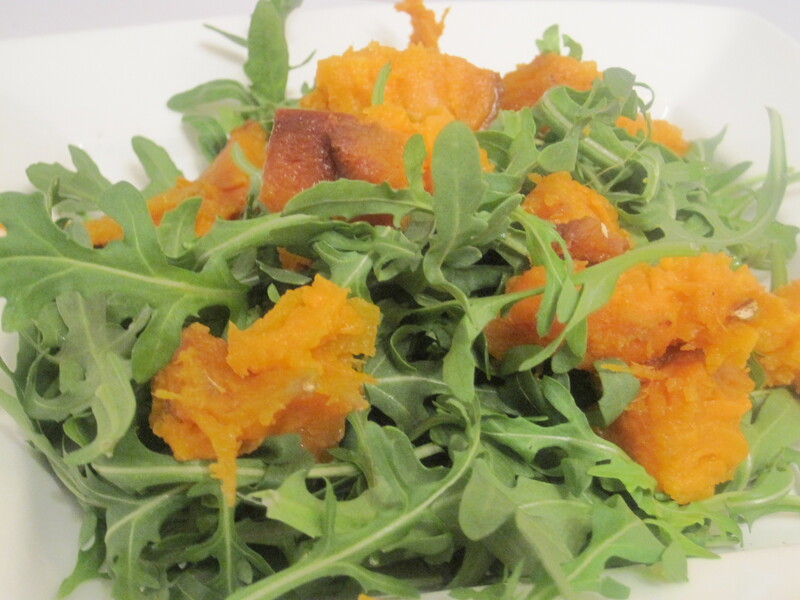 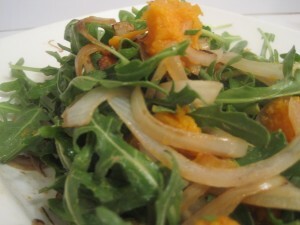 Once the warm caramelized onions is tossed with the potato chunks, the sweet potato becomes creamy, giving the salad a thicker, comforting consistency. 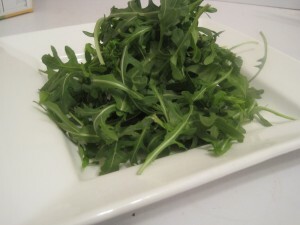 I like to eat this with arugula, but any green will do–I imagine spinach and kale working well. 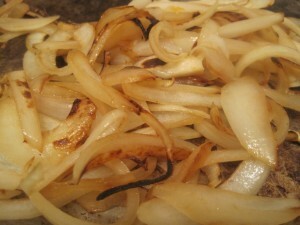 Before adding the caramelized onions, stir in the mustard. Then combine all the ingredients together.